It’s amazing how play can stimulate cognitive development in children – fire up their ability to understand, think, imagine, reason, solve problems and see beyond the obvious. As children, would any of us have imagined our favourite childhood games (from good ol’ hide n seek and den making to bubble blowing) were, in fact, cognitive activities disguised in the garb of pure fun? 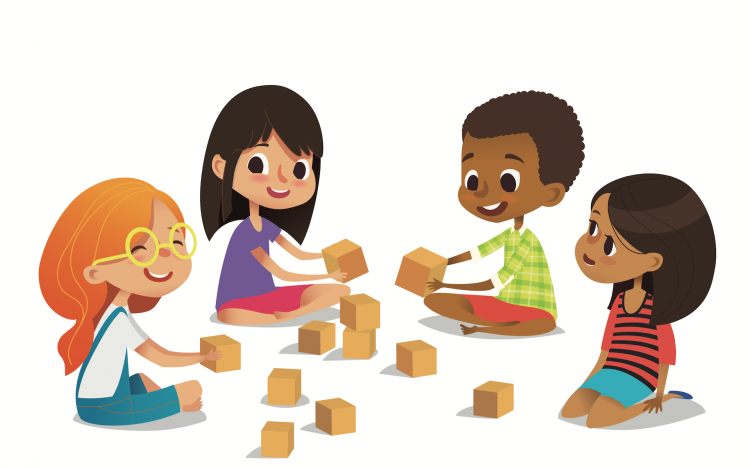 Most of the Early Years activities around the world are now built around the four core areas that promote cognitive development – sorting and classifying, sequencing, puzzles and memory games and role-playing. But, we know ideas are never enough when it comes to keeping the inquisitive little minds engaged. Here are a few classic games and crafts with little twists – to combine fun with cognition building. Simple as they might seem, games like Simon Says have been found to help in developing a range of cognitive skills in children – such as concentration, self-control and working memory (to remember rules). As a study by the Oregon State University reveals, introducing small variations in the Simon Says routine can further help pre-schoolers build a broader range of executive functions that can equip them for long term success. Add a small twist to the game and ask the children to do the opposite of what Simon says, and you have a great activity to challenge them to use a complex set of cognitive skills including higher focus and mental-flexibility (to do the opposite). Obstacle courses are another are one of those easy-to-throw-together-games you can make with anything from chairs and tables to pillows and hula hoops. Apart from the physical activity involved, this game is perfect to improve visual perception, critical thinking and problem-solving. Turn it up another notch by calling out ‘green light’ to get the children moving over the obstacles and ‘red light’ to make them freeze, wherever they are. This can help train their impulse control, self-regulation and reaction time. This sensory bag idea by handsonaswegrow is a simple exploratory activity that combines sensory play with some actual learning. Write down the words or alphabets all over the paper – up, down, sideways, in no specific order. Slide it into a ziplock pouch. Pour in the rice/oatmeal. Seal the bag. Hand the little ones some pen and paper and set a challenge to hunt for the hidden words/ letters. Get them to move the rice around in the bag and write down the words or alphabets on the paper, as they spot them. Bring together sorting, classifying and imagination by letting the children sort out pasta shapes into groups and stick on shapes and pictures with their pasta. Check out the Artfulparent for a variety of pasta art, collages and sculpture ideas to add some excitement. The felt pizza play set from projectsforpreschoolers is another fun activity that covers a range of cognitive areas all the way from sorting, counting, and shape recognition to pretend play and imagination. Simply cut out a triangular pizza shape from a piece of brown felt. Cut out the toppings from different coloured felt and let them put it all together for this no-sew project. A humble roll of tape and a pair of scissors, and you are all good to go. Cut out strips of tape into different sizes and let the kids plan and create a maze on the floor to run their cars. Deceptively simple, but this is a great mental exercise to boost creativity and encourage planning. Need more inspiration? Look up 12 ways to play with a roll of tape for more fun activities with tape.